It is fair to say that Eden Hazard is having one of his best seasons at Chelsea. The Belgian winger has had an excellent first half of the season, and has been one of the top players in the Premier League. Hazard is certainly benefitting from Maurizio Sarri taking over as Chelsea manager, and the style of play that he has implemented at Stamford Bridge. Under Antonio Conte, the Blues set up quite defensively, and Hazard was often required to do defensive work, and he wasn’t really given the freedom in attacking areas. However, things have changed under Sarri. Chelsea have switched to a 4-3-3 formation, with Jorginho dictating play from deep. This has worked for Hazard, who has been given more of a free-role off the left wing, and has had a much greater influence on games. 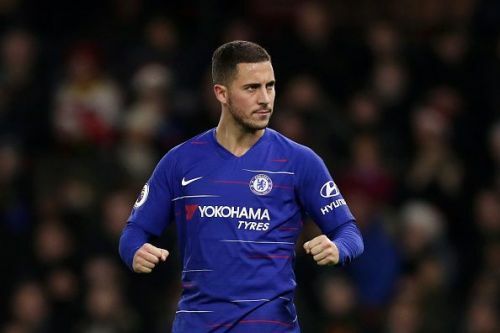 So far this season, Hazard has been directly in more goals than any other player in the Premier League, having netted ten goals and provided nine assists. He also scored one of the goals of the season in the Carabao Cup against Liverpool, as Chelsea came from behind to win at Anfield. His form has though caught the eyes of Spanish giants Real Madrid. Having sold Cristiano Ronaldo to Juventus in the summer, Real have struggled this season, form which has already resulted in the sacking of manager Julen Lopetegui. They appear to have identified Hazard as his replacement, and the Belgian has made comments in the past that suggest he may be interested in moving to the Bernabeu. Here are five players who could replace him at Chelsea if he moves to Spain. If reports are to be believed, this is a deal that is already in the pipeline. The 20-year-old American has become one of the most sought-after players in Europe over the past couple of years, and it appears that Chelsea have won the race for his signature. 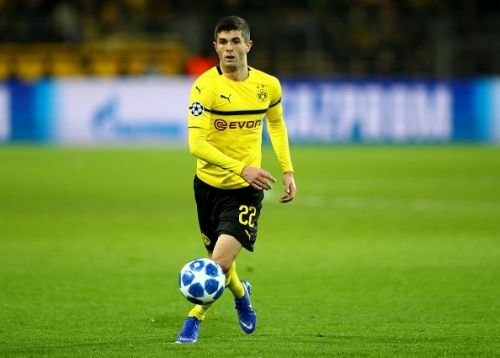 The Dortmund winger has made a real impact in his three years in Europe, and it looks like he could be the man Chelsea have an eye on to replace Hazard. He has had a slightly tougher year this time out though, falling behind Jadon Sancho in the pecking order, with the Englishman putting in some superb performances so far this season. Pulisic is still only 20 though, and certainly still has a lot of room to improve. There are a lot of similarities in his game to Hazard, in the way that he likes to run at defenders. He is also capable of playing anywhere behind the striker, so would have a give Maurizio Sarri a lot of options.